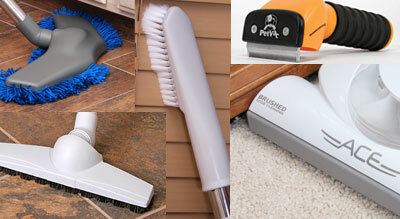 The vacuum unit is located in a remote location such as the garage or basement. The vacuum motor pulls air through the pipes and hose, and all the dust, debris, paper, hair, coins, and even small toys accidentally vacuumed are captured and retained in the filter. The exhausted air then is quite clean and is either vented outside or within the area. 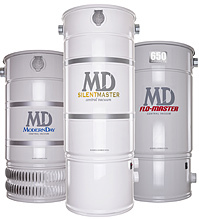 Depending on the type and capacity of the filter used, it should be replaced every three months to a year. 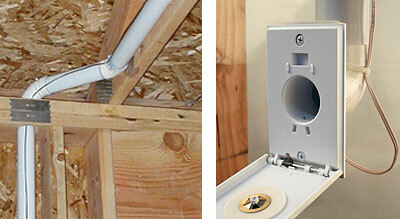 The vacuum is powered on when a vacuum hose is inserted into an inlet within the home. Special vacuum pipe connects the main unit to the wall inlet valves. The inlet valves, or ports, connect to the hose and enable the suction to be turned on and off. 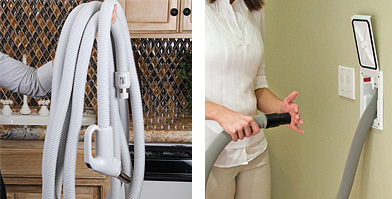 Connecting any of the numerous specialty accessories to the hose allows deep and efficient cleaning on all surfaces of the home.